Australian orchestral art rockers The Red Paintings are in the midst of an ambitious world tour in support of their album ‘The Revolution Is Never Coming’ released through Bird’s Robe Records/MGM. In November & December, the band will return to North America to tour with Canadian alternative rockers THE BIRTHDAY MASSACRE and US goth-rock outfit NEW YEAR’S DAY. Taking in 26 shows across the continent, the tour comes soon after the band’s announcement for Nightmare Festival in the UK, as well as recently performing at Rebellion Festival. Earlier this year, the band completed a 22-date headline tour of the UK & Europe, support tours for INME, GARY NUMAN & a sold out headline show in Corsica performing with a string ensemble. 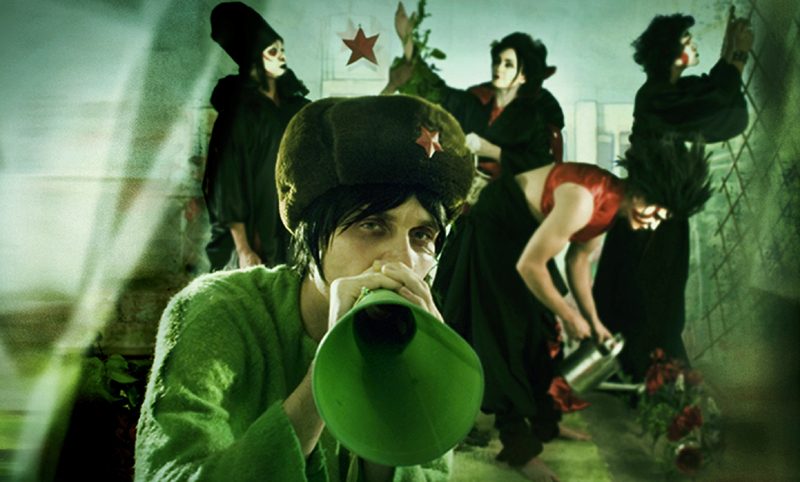 Known for their incredible live performances, The Red Paintings are a five-piece orchestral art rock group (guitar, bass, drums, cello & violin) who incorporate themed costumed stage shows, live art and human canvases to create a truly unique art experience that reflects the band’s music and energy in real time.